Everyone is welcome, bring your family and friends. 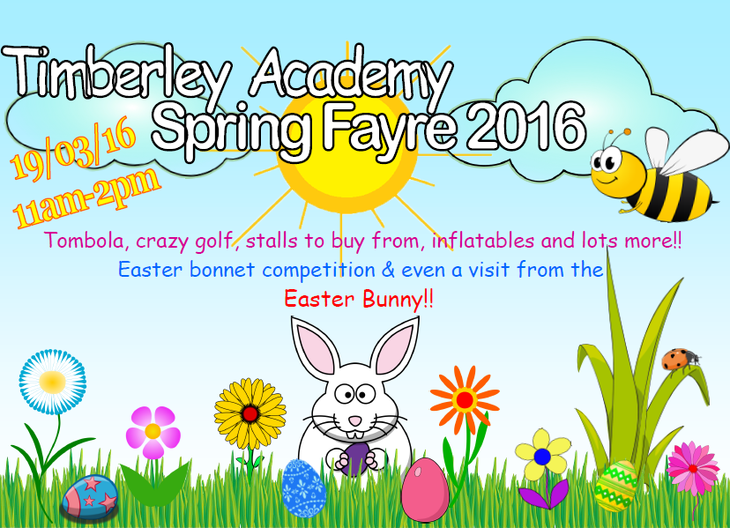 Stalls to buy from, tombola's, crazy golf, inflatables, hot food and much more! There will be an Easter bonnet competition for £1 and we are even having a visit from the Easter Bunny himself!!! Prizes will be awarded to the best bonnet. Our on site farm will also be open for everyone to visit, you can even feed the animals. 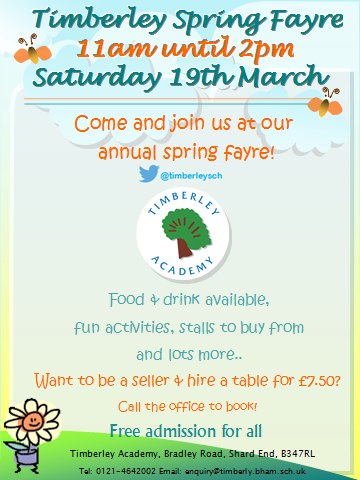 If you would like to sell at the fayre, you can hire a table top for £7.50. The fayre does get very busy and very full fast, so please reserve your table as early as possible.